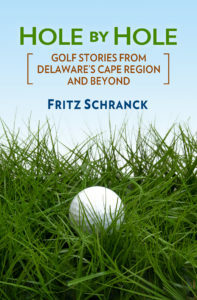 Kyle Serman couldn’t help but notice all the new golf courses on the Delmarva Peninsula. Serman chairs the Delaware Technical and Community College’s Applied Agriculture Department at the Owens Campus in Georgetown. He has extensive experience in farming and education. The instructors in his department include active teachers and those with significant current experience in agribusiness, which helps maintain the popularity of his programs. This spring the Delaware Tech Board approved Serman’s proposal for a new program in Turf Management. The new degree concentration in Applied Agriculture Technology will start with an emphasis on golf course turf, and then expand to train students interested in other athletic turf management. Its students will join those seeking similar degrees in horticulture, production agriculture, and poultry science. Enrollment in the program for the fall semester is now underway. “We’re excited about our new turf program. Golf is becoming an increasingly important part of the community. We’re here to serve the community, and we thought we should get in on the ground floor,” Serman explained. “We’re also pleased with the support we’ve received from the turf industry on Delmarva,” he said. The coursework includes training in irrigation, pest control, equipment management, and soil and water management. Students can even earn their pesticide application license for turf uses from the Delaware Department of Agriculture. In addition, the students will also help create a new three-hole golf course on the campus grounds. Each hole will be a par 3, using a total of about 8 acres. “We received a Perkins grant to develop a turf grass laboratory. The golf course is part of the laboratory,” Serman said. Serman said the third hole will be built after the first two are completed, and will head nearly due west for about 130 yards. “We need to make sure that the golf balls don’t land in the parking lots,” he grinned. The students will do much of the course construction work after the initial clearing and grubbing. John Schneider of Endesign did the initial design work for the little course. The college also recently purchased a nearby tract of land called the Ellis property. The new acreage will be used for new soccer, softball, and baseball fields. Serman’s turf students will develop the new athletic fields and learn how to manage the grasses under the very different but demanding conditions that those uses involve. The new turf management program should fit very nicely with the growing recreation business throughout Delmarva, especially golf. For more information about the new program, call Serman at 302-855-5929.